A reliable business contact list is the foundation of any successful marketing effort, and with this building materials email database, you can reach out to key players in the stone, glass, clay, and concrete industries. Download it and get results! Don't let your sales team get stonewalled by inaccurate or insufficient data. With our stone, clay, glass, and concrete products email list, you'll have the building blocks of a great marketing campaign. 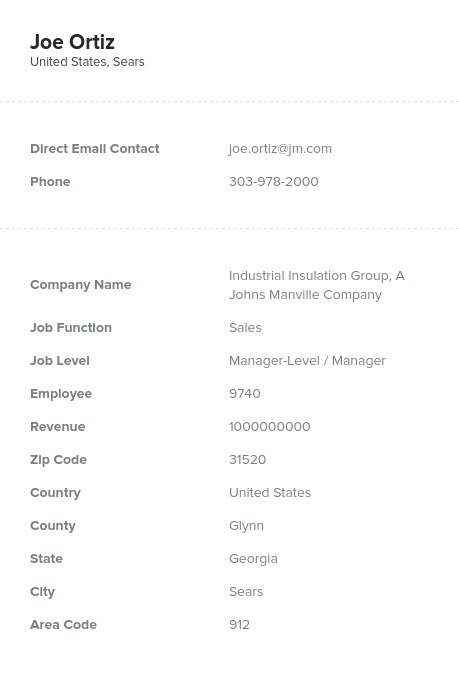 This pre-built business list contains the actual names, email addresses, phone numbers, fax numbers, mailing addresses, and company information for valuable sales leads in the field of raw materials manufacturing. Start making vital B2B connections in minutes once you download this building materials manufacturer mailing list! Every business database we sell contains accurate information, and our stone and clay manufacturing industry email database is no exception. We check every piece of data we sell on a regular basis, both with machines and with real human authenticators, so you can feel confident that this email marketing list contains current, verified information. We even back each targeted email list we sell with a deliverability guarantee! At Bookyourdata.com, we not only want to save you time, but we can save you money as well. This comprehensive structural material manufacturers email list comes at an affordable price, but if you know that you only need contacts in a certain location or with a certain job title, for instance, you can get only the data you need using our list-builder tool. Try it and see for yourself how easy it can be to find the right people to talk to in the construction materials industry!